Lots of planets have unicorns! I’d pay cash money if there is a unicorn, but it’s the pantomime horse from Rentaghost with a horn on its head. Rentaghost really jumped the shark when they brought in the pantomime horse. Rentaghost jumping a shark would have been one hell of a budget increase. It’s ok, it was a pantomime shark. I’ve never been into extended-universe stuff for Doctor Who. I’ve read a few of the comics here and there, and maybe one or two short stories, but I’ve never dived into the wealth of extra material that’s out there in any serious way. As a result, I’ve never read any of the many novelisations that were released in the show’s classic era - which have inspired a new range of four novelisations covering some of the key stories of the nu-Who run (as well as an extra fifth adaptation of a classic story to fill a gap in the old range). Along with RTD’s novelisation of his own Rose - and takes on The Christmas Invasion by Jenny T Colgan, Twice Upon A Time by Paul Cornell, and Fourth Doctor story City of Death by James Goss - Steven Moffat has adapted his own Day of the Doctor. And having heard very good things about it, I decided to check it out for myself. And it’s good. Very good. In fact, if you’re a fan of his run on the show and his style of writing, I’d say it’s an essential read. 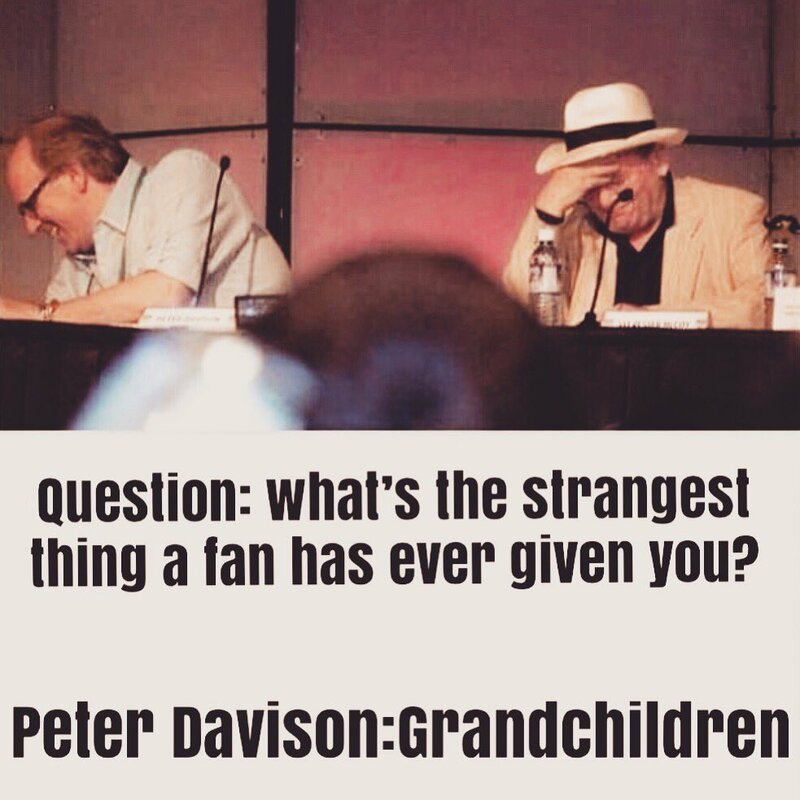 It does far more than just retell the story of Day of the Doctor (although it does do that too). It plays with structure in all the ways you’d expect from a Moffat story, presenting chapters out of sequence and experimenting with different forms of prose; it has fun with guessing-games revolving around the identity of each chapter’s narrator (many of whom are different incarnations of the Doctor - but it isn’t always immediately clear which); and it adds details around the edges of the story that not only tie it more closely to other ideas explored in Doctor Who stories past, present and future, but also twist moments from the TV version in amusing and unexpected ways, so that even those who have watched the 50th anniversary special umpteen times will find lots that’s fresh and new here. Revealing many of these details would spoil the surprise, but we get lots of extra fleshing-out of scenes like the Eighth Doctor’s regeneration from Night of the Doctor, the prison cell scene with the three Doctors stuck in the past, the involvement of Elizabeth I and the machinations of UNIT (in fact, there are a couple of decent chapters where we get to see what’s going on in the minds of Kate Stewart and Petronella Osgood. Well, kind of.) The scenes where we get inside the Doctor’s head(s) are particularly revealing, helping to expand on the motivations of the War Doctor and also showing how the fallout from his use of The Moment ripples out through time and informs specific moments involving subsequent Doctors from later episodes. There are also some interesting alternate takes on scenes from the TV version, including some surprising omissions. The Doctor’s dream at the end of the TV episode is entirely absent, and (even more surprisingly), there’s no big “all Thirteen” moment here - which I was initially a little disappointed by, until I realised that Moffat had come up with a slightly more subtle way for the Twelfth Doctor to be involved in the story’s climax, opening up a brand new montage that’s set during the concealment of Gallifrey and which is one of the most thrilling sequences in the novel. There’s also some fun to be had touching on characters like River Song and the Thirteenth Doctor, who both show up in some capacity but don’t distract from the core story. And being Moffat, it’s funny throughout. From silly throwaway gags that develop naturally from the situation (and which you can imagine fitting into the TV version) to far geekier in-jokes about stuff like the Peter Cushing Doctor Who movies or the fact that the first and second Doctors could only see in black-and-white, the book is filled with jokes and light moments. It all makes for a book that constantly keeps you guessing, keeps you wondering what the next twist is and where things might be headed. Which is not bad for a story you’ve already seen. Damn it, Dave. I’ve been trying to divest myself of spin-off media, but I might have to check this out based on your review. Got Colin Baker to sign some fan art somebody gave me and now my 7 year old self is running around my garden screaming. Yeah, it does look a bit like they were trying to make it “female”. I do like some aspects of the design though, and the general idea of going for a more organic approach in the Doctor’s tech - it’s about time to go the step from old-fashioned engineering to a more organic, nano-tech approach to the visuals. 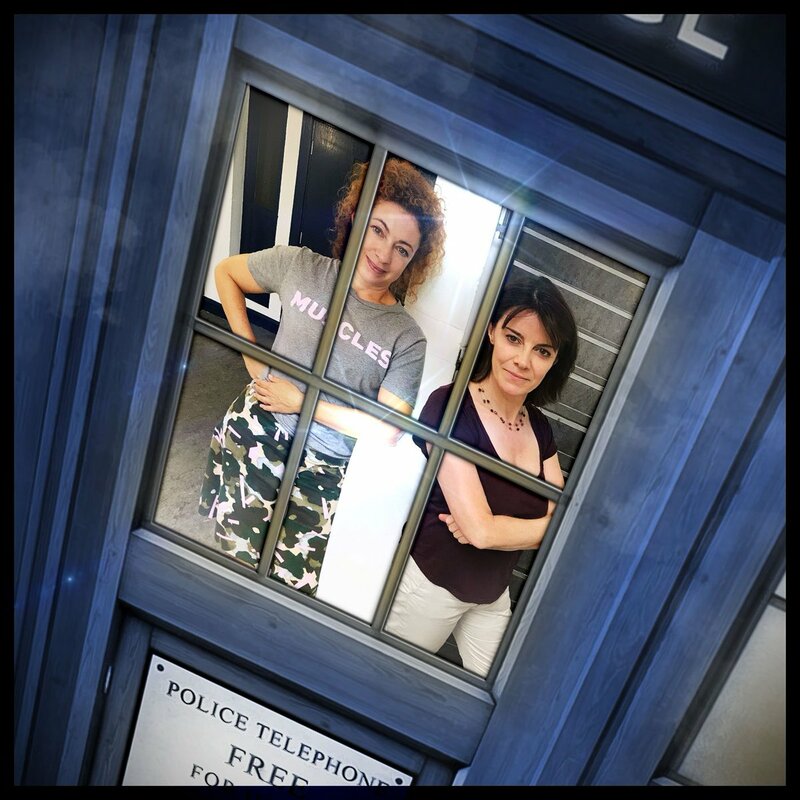 Professor River Song ( Alex Kingston ) meets her predecessor, another time-travelling archaeologist, Professor Bernice Summerfield ( Lisa Bowerman ). Kate Stewart ( Jemma Redgrave ) travels back in time to classic UNIT and meets the Third Doctor (voiced by Tim Treloar ) and Jo Grant ( Katy Manning ). As 2018 is also the 30th anniversary year of their first appearance in Remembrance of the Daleks , the Counter-Measures team will be reunited with the Seventh Doctor ( Sylvester McCoy ) and Ace ( Sophie Aldred ). And the Sixth Doctor ( Colin Baker ) and his companion Charlotte Pollard ( India Fisher ) once again meet Detective Inspector Patricia Menzies (Anna Hope ) in a police procedural like no other! Plus we go to Gallifrey , and elsewhere we enter the Time War. Doctors will meet, and there will be Easter Eggs aplenty. I’ve lost much of any interest in spin-off media, and Big Finish’s crowbarring of River into stories with previous Doctors has sounded especially but her and Benny meeting is tempting to check out. Though I suspect anything other than River meeting her and saying “you’re interesting, mind if I steal your entire schtick?” will disappoint me. Replacements for the two faulty discs in the Series 12 blu-ray set have been sent out, but one of them (Revenge of the Cybermen) is completely unchanged from the faulty original. Whoops. There’s still no sign of a second printing of the set, either. The next series to get a blu-ray release is Series 19, again with new special features, including Matthew Sweet interviewing Peter Davison. It’s due out in November, which means you should be able to get a faultless, unlimited edition copy of it by 2021 at this rate. Lucifer and Gotham director Mark Tonderai, Wentworth writer Pete McTighe and The Life and Adventures of Nick Nickleby writer Joy Wilkinson are among the behind-the-scenes talent to have signed up for the latest season of Doctor Who. Tonderai, who has also directed George RR Martin’s Nightflyers and Jennifer Lawrence thriller House at the End of the Street , is joined behind the camera by directors including Jennifer Perrott ( Gentleman Jack ), Jamie Childs, who directed Jodie Whittaker’s reveal as the Thirteenth Doctor and Sallie Aprahamian ( Teachers, This Life ). Meanwhile, McTighe and Joy Wilkinson will be joined in the writers’ room by Ed Hime ( Skins ), Vinay Patel ( Murdered By My Father ) and former Children’s Laureate Malorie Blackman ( Pig-Heart Boy) . Humble Bundle have a Big Finish Dr Who / Torchwood offer just now. Pay what you want for awesome audiobooks and support charity! Worth it? I’ve no idea if these ones on offer are meant to be any good. This article doesn’t reveal anything new, but it’s a nice little rundown of the history of the show from a female perspective, plus a bit of speculation on what’s to come. From the feminist journalist Sarah Jane Smith to the fiery flight attendant Tegan Jovanka, Doctor Who’s female characters have been anything but props. So what can we expect from Jodie Whittaker? Ooh! Benny meets River! I’m all over that. We’ve been rewatching Series 10 recently in preparation for the new Doctor, and I’ve found myself quite enjoying it. In particular, Bill adds a huge amount to the show, and after Clara outstayed her welcome by a couple of seasons it feels like a shame that Bill couldn’t stick around for longer. The season starts really well with a few strong opening episodes, and while it sags a little in the middle (the Monks trilogy has some decent moments, but never quite comes together) and feels like there’s a little bit of filler towards the end, the closing two-parter and related Christmas special really let Moffat and Capaldi go out on a high note. World Enough And Time and The Doctor Falls would have been a great two-parter to bow out on, and in some respects it’s a shame that Moffat had to stretch the regeneration out over a Christmas special too, as it would have been nice to have it in the same story as the one in which he manages to teach Missy about the value of kindness (with that great “where I stand is where I fall” speech that’s one of Capaldi’s best moments as the Doctor). You can see pretty much exactly where the episode was originally due to end and where the aborted/delayed regeneration idea was tagged on, and it feels a bit clunky as a result. But the Christmas special sees Moffat adapt to the problem well, allowing him to elaborate on the ideas around regeneration (and his own leaving of the show) in a pleasing way, and the inclusion of the First Doctor is a nice nod to the show’s past that allows for some fun interactions. The closing speech with Capaldi running round the TARDIS on his own and lecturing the next Doctor at the same time as Moffat lectures the next showrunner is maybe a bit obvious, but it still works really well (partly due to the wonderful score that’s reused from Heaven Sent), and rewatching the new Doctor appear at the end has me excited to see what’s next for the show. throw in Missy as the opponent and it would be perfect. its time for River to meet the Masters.